There has been yet another death of a healthy, full term baby on Mothering.com. This one happened at a birth center. It was caused by a rare complication, but it didn’t have to happen. As in the case with all out of hospital births, including birth centers not located at hospitals, the mother gambled with her baby’s life. Unfortunately, she lost … or rather the baby lost. At about 7 am, the midwife came and we listened to his heartbeat again, and again it was perfect, before, during and after a contraction. I was only 4 cm dilated, so I decided to start moving and swaying to some music, using the birthing ball and walking a little to help dilation along. I did this for about an hour. While I was sitting on the birthing ball I felt [him] kick a couple of times … I didn’t know then that it was the last time I would feel him move. An hour later my midwife checked my dilation again and I was 5-6 cm, we listened for the heartbeat on the doppler and we couldn’t find it. We tried to stay calm and went straight to the hospital, hoping that they would confirm with ultrasound that he was fine and was just so low in the pelvis that we couldn’t get his heartbeat on the doppler at that point, but sadly, they confirmed what we quietly feared. He didn’t have a heartbeat. Sometime in that hour, he had passed away. Umbilical cord torsion happens when the cord becomes so twisted upon itself that the blood vessels within are kinked, closing off the blood flow to the baby. Imagine twisting a short length of garden hose over and over again. At first, the twists make no difference to water flow, but if you twist it enough times, the flow can be cut off completely. … During contractions, blood flow to the uterus (and therefore the placenta) is cut off. During each contraction, the baby is, in essence, holding its breath. Most babies tolerate this pretty well, because between contractions the placenta is providing so much oxygen that the baby has a reserve to draw upon during the contractions. A partial torsion of the cord can dramatically reduce oxygen reserve. A baby with a partial torsion may be fine until labor begins, but without an adequate oxygen reserve, the baby may die during labor. This tragedy sheds light on the nature of risk during pregnancy. The baby was alive at 38, 39, 40 and even 41 weeks. An elective repeat C-section at any point during those weeks would have prevented the baby’s death. It would have been another one of those “unnecessareans” that are bemoaned by NCB and homebirth advocates. That does not mean that the mother should have had an elective repeat C-section, merely C-sections are less risky for babies than vaginal birth. The baby was alive at 7 AM. Had the baby been monitored with continuous electronic fetal monitoring, it may or may not have showed a pattern of increasing fetal distress prior to complete closure for the cord vessels. It certainly would have shown the bradycardia that occurred in the wake of complete closure of the cord vessels, and there may have been time to deliver a live, healthy baby by emergency C-section. That does not mean that every woman should have continuous electronic fetal monitoring during labor. It does mean, though, that in the absence of continuous electronic fetal monitoring, rare acute events like these can kill a baby without anyone knowing about it. Of course, had there been continuous or even more frequent intermittent monitoring during labor that showed the bradycardia, the fact that the mother was at a birth center, far from an operating room, means that the baby probably would have died anyway. That doesn’t mean that no one should give birth in a birth center, but it does mean that when a woman chooses a birth center, she is implicitly gambling that there will be no acute life threatening events in labor. If one does occur, the baby will die long before the mother can be transferred to the hospital. This baby did not have to die. The mother and the providers gambled that the baby had no rare conditions, that nothing more than intermittent monitoring would be necessary, and that there was plenty of time to transfer to a hospital in case of emergency. The odds were in their favor, but they lost anyway. 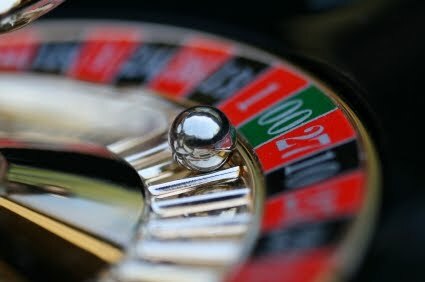 When gambling, you should never bet the mortgage money, because no matter how good the odds, you still might lose. If you shouldn’t bet the mortgage money, should you bet something infinitely more precious, the life of your baby? At a minimum, you ought to consider that no matter how good the odds, you still might lose. ← It has zero to do with what is safe for the baby, but is all about the midwife.